In The No True Muslim Fallacy, I previously discussed what I referred to as the "fundamentalist's advantage." Despite that I chided ridiculous claims that ISIS weren't real Muslims, I also made note that, provided degrees of legitimacy to a faith, fundamentalists generally have a more studious observance of the core texts than moderate followers tend to. Now, this type of religious observance (fundamentalism) is similarly chided as being the main reason for violence and terrorism. Many commentators seem to think that the core values of beliefs aren't the problem, but the interchangeable pursuit of extremism or fundamentalism is. Religious doctrine gets a free pass in a lot of cases. Radically odd, however, is the blatant double standard that occurs depending on whether these fundamentalist or extremist doctrines are positive or negative in effect. 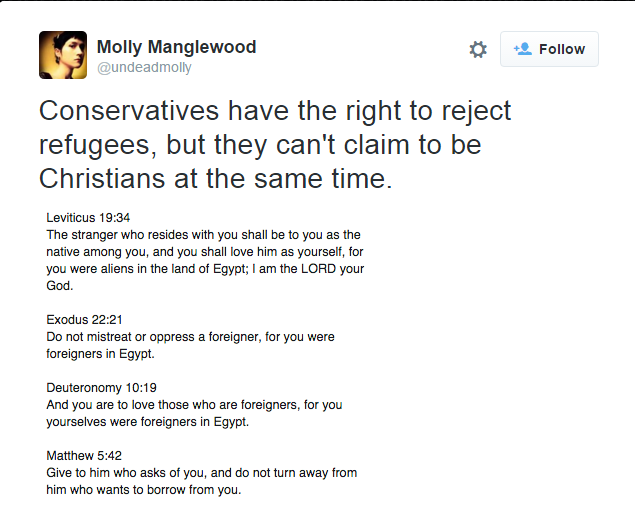 Molly Manglewood rejected giving any and all legitimacy of Christianity to people who don't follow the tenets of the selected passages she mentioned. The only ones she mentioned which show reference to refugees are those of the Old Testament. 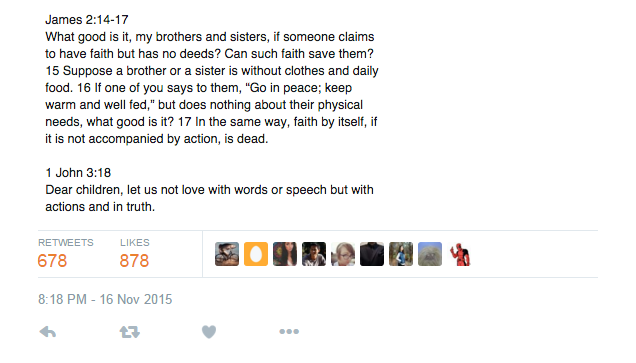 To substantiate this apostasy/pseudo-believer line of reasoning, passages from James are listed. But this requirement standard of belief Manglewood forwarded is absolutely dangerous. 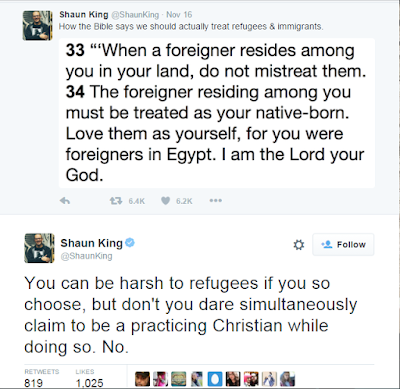 It's important to keep in mind what this tweet is: a bunch of out-of-context quotes, some referring to people who had ancestors in Egypt, others being vague generalities about what to do with faith. The Old Testament commands, for instance, are often considered void after the purported sacrifice of Jesus. There are various other passages I could cite. But to divert back to the core point, this level of devout adherence to scripture is what leads to the motivations driving acceptance of violent, puritanical interpretations. If people honestly believe that contradicting scripture, even in insignificant or ambiguous ways, will result in them not being a true religious person, and subsequently being damned to eternal loss, they're more likely to take proactive measures against it. 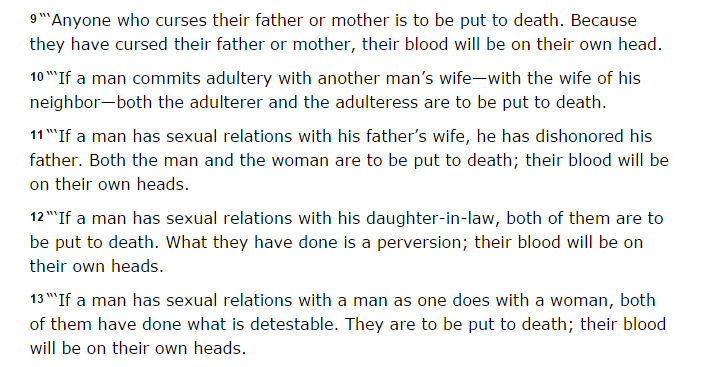 Leviticus 25:39-46, ladies and gentlemen. How about this, also in Leviticus? I could go on for hours, but the evidence is blatant enough. With a lot of people, it seems to come down to an approach of: you must take all the kind parts of The Bible literally, at face value, and perform them or you're not a Christian, but don't you dare ever apply the same rationale to the parts that promote the stuff we don't like. 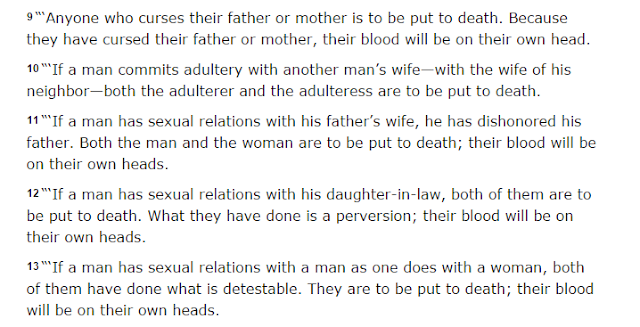 Yet, despite verses like Leviticus 20:13, people still are surprised about "homophobia" and other practices people call others bigots over. 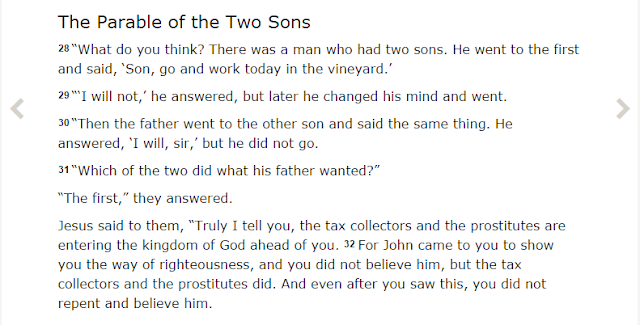 Telling LGBTQ and anti-slave activists they can't be true Christians would be about equal to the points King and Manglewood made. This is nothing short of delegitimizing religious moderates. And that's extremely dangerous. Much of the religious sectarian violence in the world can be attributed to fighting over who's "hijacking" what religion. ISIS views Shia Muslims as not being real Muslims, and uses that as justification for killing them. King and Manglewood view people who aren't accepting of refugees as not being real Christians. Many moderate Muslims don't view ISIS as real Muslims. 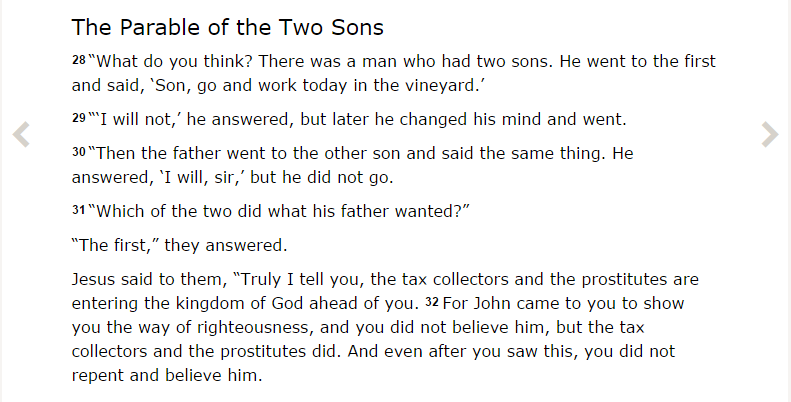 Certain Protestants don't consider Catholics real Christians. Given the extremities of punishments that are required to be performed from a literalist approach to texts like the Torah, New Testament, Qur'an, Hadith, it isn't particularly surprising that we see so much religious violence today. And it's from people who read the books like King and Manglewood do. Should The UK Bomb Syria?